Good unit, good price, weak drawer bottoms. 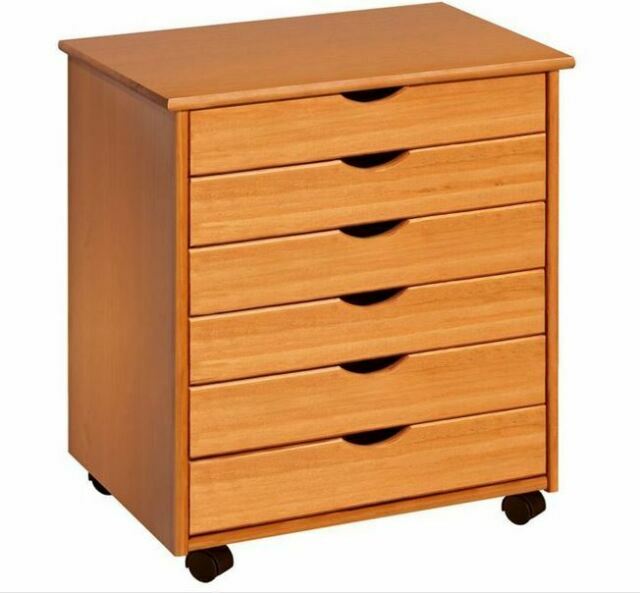 Nice product for the price, with easy assembly, however, description says “all wood” when in fact the drawer bottoms are thin fiberboard that gives easily when you push on them. I will reinforce/replace the bottoms with wood and the unit will be top-notch. You may want to replace the casters with bearing stem casters, as the quality of these is very low - sometimes they don't turn. The wood itself is oddly both soft and brittle at the same time. The top marked up quickly during assembly, and the caster supports split when installing wood screws in pre-drilled holes. Most of all, know that assembly is more involved than they lead you to believe. If you don't use corner clamps you'll make a mess out of the drawers. Overall it's just what you'd expect from China and at this price. It will do until such time as you can afford a better quality taboret. I have 5 of these now, they make organizing my materials easy. These are higher quality than you would expect, all wood, easy to assemble and very sturdy and the wheels make them easy to position anywhere you need them. I highly recommend these Adeptus Cabinets. I am very happy with my Adeptus wide 6 drawer Roll Cart! The instructions were easy to understand. The Cart was easy to put together. It is very well constructed. I WOULD recommend this to anybody!!! My husband even likes it!! This came unassembled. The directions for assembly were easy to follow and the cart went together easily and quickly. Once finished it is very sturdy. A lovely piece. Wish I had a place for another one! Worth the money.